by Anne-Sophie Coutin, et al. 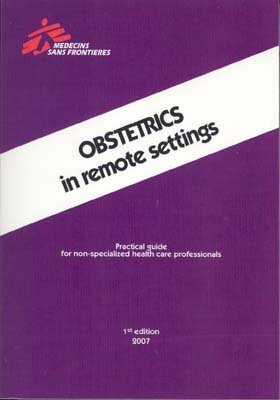 This manual is intended for non-obstetricians working in remote settings where medical resources are lacking. The goal is to overcome the fundamental threat of pathology -- that is, save the mother, protect her from any functional sequelae of the pregnancy, and deliver the child in the best possible conditions. The guideline covers diagnosis of early pregnancy loss, including the use of ultrasound scanning and biochemical testing. The guideline includes guidance on when specialist advice should be sought in order to avoid errors and unnecessary delay.